Sony A6000 with Sony 18-105mm E PZ F/4 G OSS Lens. Here’s one shot from my new toy the Sony A6000 with the Sony 18-105mm E PZ F/4 G OSS Lens. 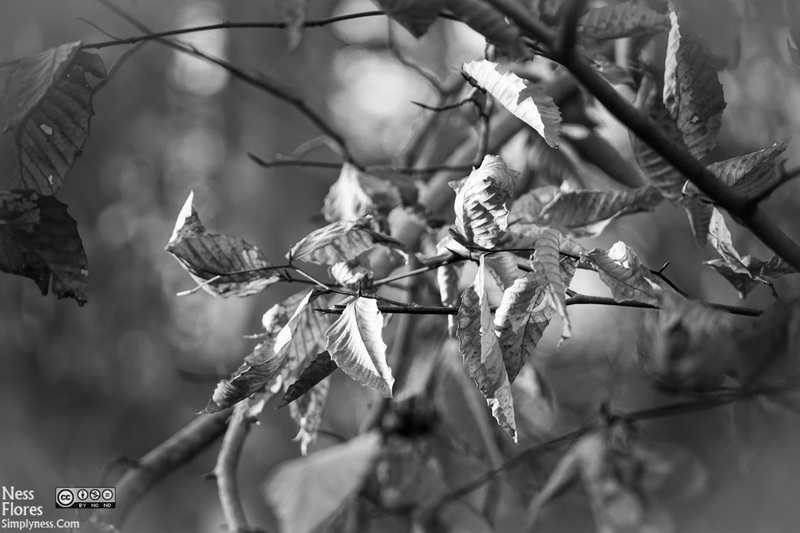 Shot in aperture priority F/4, 1/200, ISO 250 at 105mm. 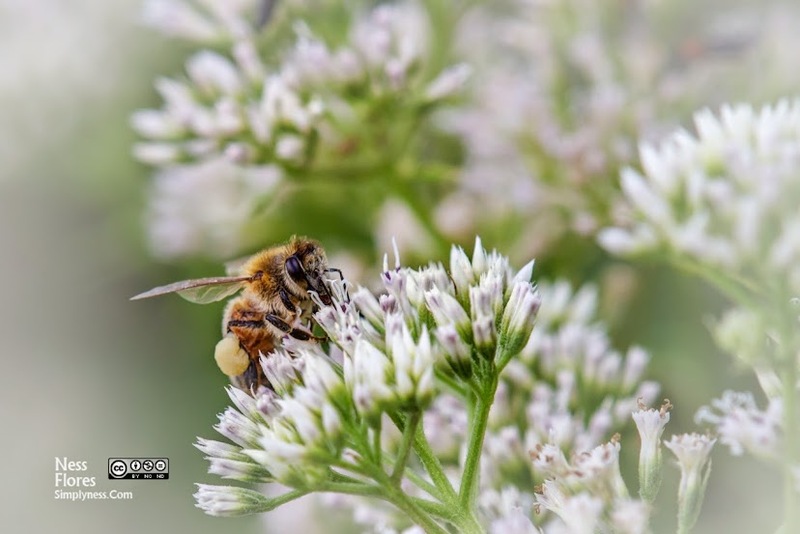 I shot this with my Canon EOS 7D MK I and my Tamron SP 180mm F/3.5 Macro. I have not shot with my Tamron 180mm macro for a quite sometime now. Surprisingly it feels good to shoot again with my DSLRs. I have been too attached with my mirrorless system I almost forgot that I still have my DSLR gear. For this photo, my Canon EOS 7D was set to manual for better control of my exposure. It was a little windy so I have to make sure I can stop action/movement that’s why I set my shutter speed to 1/640. To get the details of the bee I set my aperture to F/6.3 and ISO set in Auto. In post I added a little bit of white vignette for a dramatic effect. I’ve had this camera insert for more than a year now. 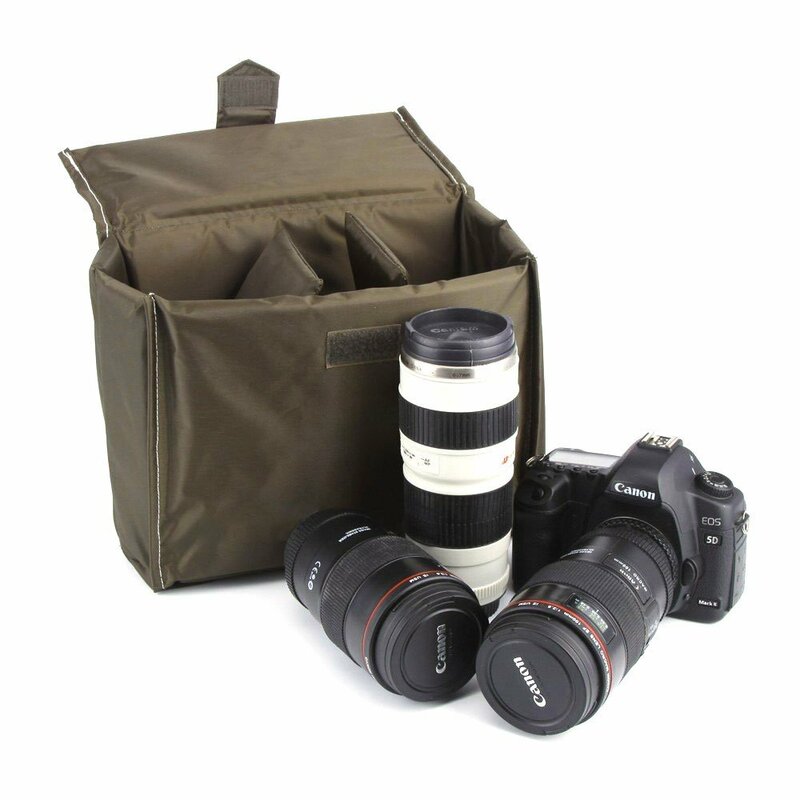 I used this primarily with an Aeropostale messenger bag to carry one Canon DSLR body (5d or 7d) with a Prime lens attached like the EF 35mm F/2 or the EF 50mm F/1.4 and two additional prime lenses. 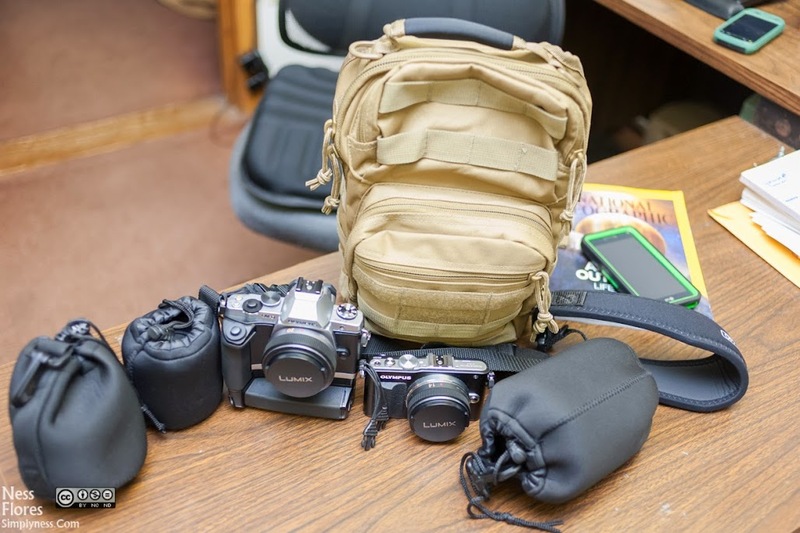 This used to be my everyday carry bag, back when I regularly shoot with my DSLR, but when I got my Micro Four Thirds Gear, I only use my DSLR for sports work. Other than that, they mostly stay in the bag at home. But there are times that I still miss shooting with my DSLR specially during off season and this what I still use to carry my DSLR kit. Mine has the label/tag that says CADEN, but on the Amazon description is says Bestek. I tried searching Amazon for CADEN and I got results that were more expensive than the Bestek Camera Insert. Red Rock Outdoor Gear Rover Sling Pack for Micro Four Thirds or any Mirrorless Compact Camera Systems. When I bought my first mirrorless camera 2 years ago, my search for the right bag for my compact system camera started. At first it was ok, I only have 1 body, the E-PL1 and two lenses the Canon FD 50mm F/1.8 and the Panasonic 14mm F/2.5 pancake, it was manageable. For a long time I’ve been using the Think tank Skin 50 to carry these gear, which works really well, but as time went by I’ve accumulated some more lenses and added two more mft camera bodies. The Canon Speedlite 580EX Older but still a crowd favorite. Some of it’s notable features includes, E-TTL (and E-TTL II), has a guide number of 58/191 (meters/feet) at ISO 100 and 105mm focal length. This speedlite works flawlessly and is reliable in any situation. This is my remaining DSLR Camera Gear. I have sold most of them and I don’t see myself getting a new lens or new dslr camera body or lenses. 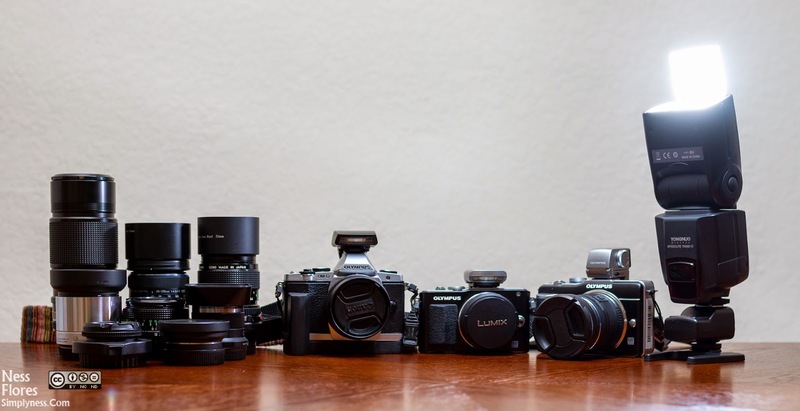 I am slowly transitioning to a compact system camera (mirrorless system), right now I’m using both micro four thirds system and Fuji APS-C . You can check out my mirrorless system here. Canon EOS 7D. I have 2 of these that I used for sports. This is my primary body for sports and event photography. I choosed the 7d because of it’s high frame rate, quick autofocus, great image quality and best of all it’s durability, it is weather sealed and I don’t have to worry about shooting in harsh weather condition. The Canon EOS 7D is still Canon’s King of the Crop (APS-C). With the release of the current firmware update Version 2.0.X it keeps the EOS 7D on the cutting edge of technological innovation by adding user-requested innovations developed for Canon’s high-end EOS cameras: A higher maximum burst rate for continuous shooting, definable maximum limit for ISO Auto, compatibility with the Canon GPS Receiver GP-E2, and manual audio level adjustment. Additional enhanced features include faster scrolling of magnified images, quick control during playback, in-camera RAW image processing, JPEG image resizing and ratings, plus customization of file names and time zone settings. Canon EOS 5D 12.8mp Full Frame. I used this as a backup to my 7Ds. Even though it’s considered a classic by many it is a trust worthy and reliable camera. Best of all it’s image quality is just outstanding. You can never go wrong with this camera. Portrait, events, landscape, you name it and it will delivery. 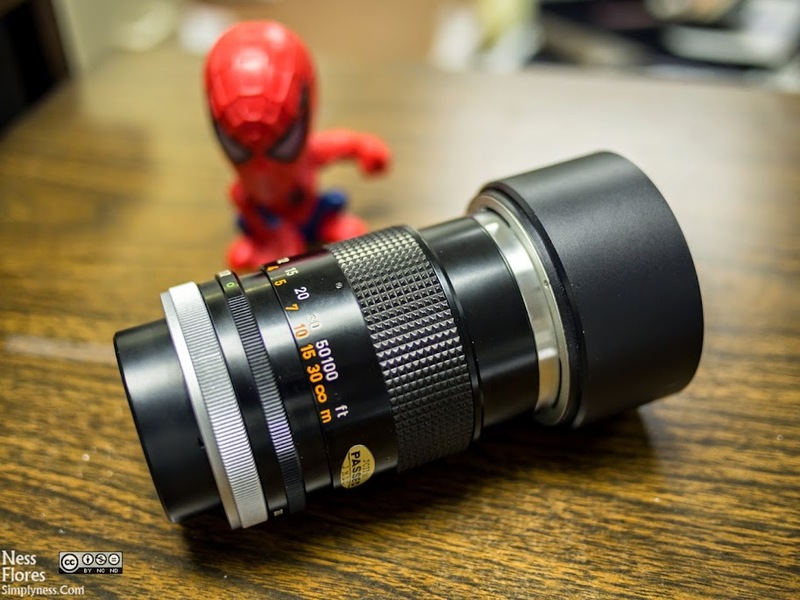 Last time, I reviewed the Canon FD 50mm F/3.5 Macro Manual Focus Lens. 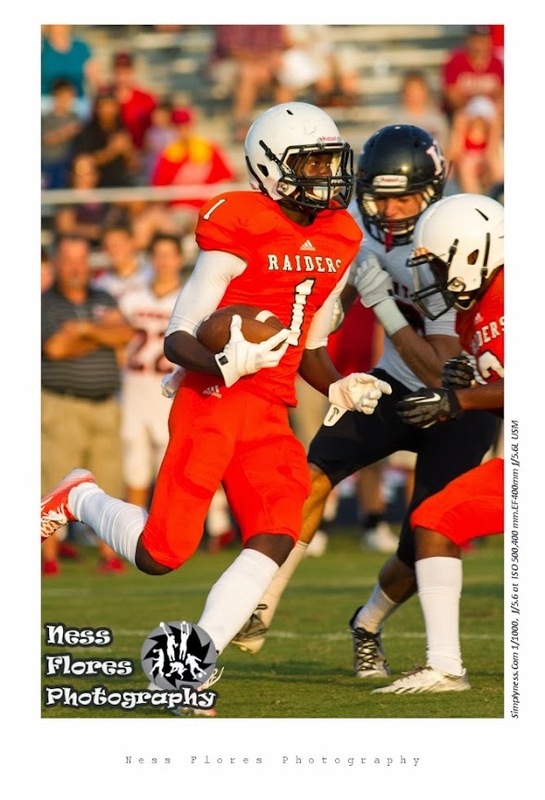 Just in case you missed it, you can find it here. 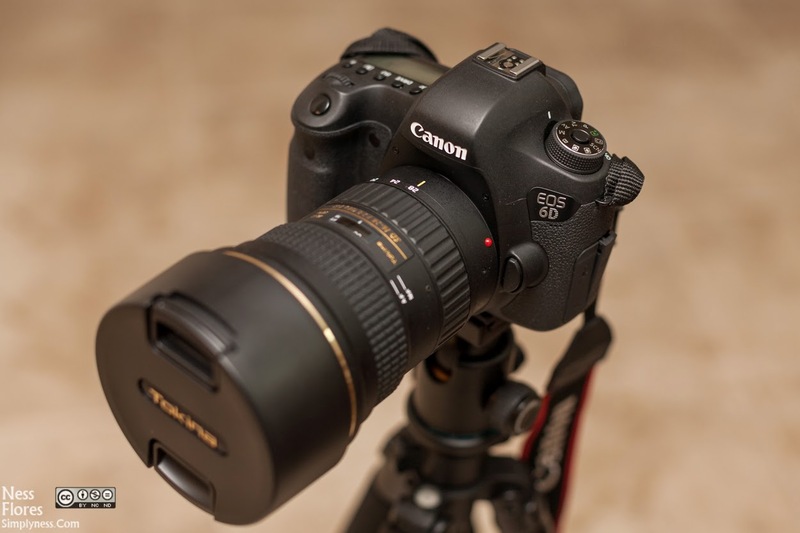 This review is about the Canon FD 135mm F/3.5 SC Manual Focus Lens with Chrome Tip. This is the third Canon FD Lens that I bought from ebay. I was curios to try the 135mm Focal length from the FD line of lenses, and this 135mm F/3.5 SC fits the bill nicely. At $45 I got a complete set with 2x teleconverter, macro / closeup filter adapters, original metal lens hood BT-55 and the FD 135mm F/3.5 lens with Chrome Tip in excellent condition. This one is from my archives. I shot this at the National Zoo with my old Canon Rebel XS and a Sigma 70-300mm F/4-5.6. I shot this behind a glass cage, there was a little bit of glare and the image appear soft. I shot this one with my very first pen camera, the OLYMPUS 12.3 Megapixel E-PL1 Pen Camera and with the Panasonic LUMIX G 20mm f/1.7 Aspherical Pancake Lens . Shot with my old Canon EOS 20D, the Canon EF 85mm f/1.8 USM , and the Pro Optic Budget Auto Extension Tube Set . Since I don’t have a dedicated macro lens, the Pro Optic Budget Auto Extension Tube , help me get close to my subject by cutting the minimum focus distance of the Canon EF 85mm f/1.8 USM . This one is from my Archives. This was shot from the National Zoo back in 2010 using a Canon EOS Rebel XS and the beautiful Canon EF 70-200mm f/4 L IS USM Lens .